You know to avoid trans fats and saturated fats. At the same time, include healthy fats in your diet. Here, we answer the question "What are healthy fats?" What are healthy fats? 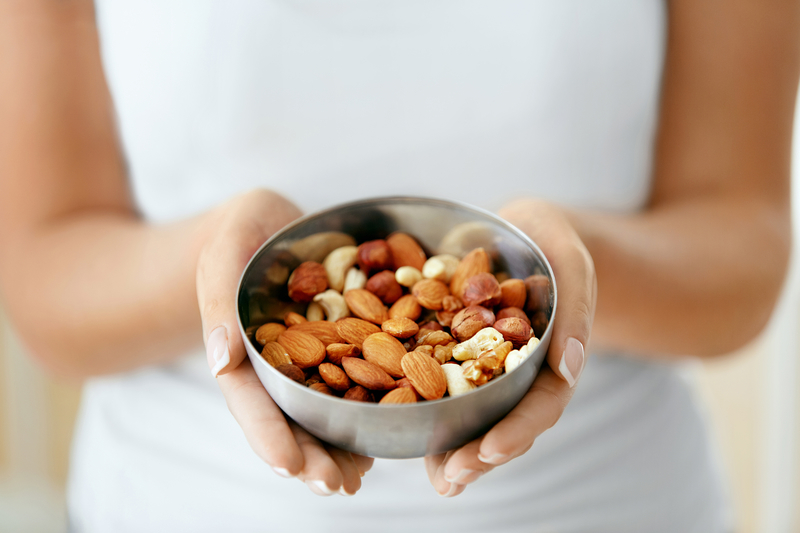 Nuts and seeds are great sources, as are avocados, olives, and fatty fish. “Fats”: It’s not a four-letter word. Research has shown that with fats, it’s not the amount as much as the type that has the most significant impact on your health. In fact, eating foods that contain certain types of fats—healthy fats—is encouraged. So… what are healthy fats? Most people need to consume about 20 to 35 percent of their daily calories from fat. For the average person, that means 44 to 78 grams of fat. Fat provides energy to your body, builds healthy cells, helps you absorb nutrients, increases your sense of fullness, and makes your foods taste more delicious. Overall, it promotes optimal health and well-being. According to the 2015-2020 Dietary Guidelines for Americans, monounsaturated fats (MUFAs) and polyunsaturated fats (PUFAs) are healthy fats. Saturated fats and trans fats are the types linked with health problems. PUFAs are unsaturated fats found in nuts, seeds, and vegetable oils, such as safflower, corn, sunflower, soy, and cottonseed. Omega-3 fatty acids are a special type of PUFA linked with a range of health benefits, including better heart and brain function and a lower risk of depression. MUFAs are unsaturated fats found in avocados, peanuts and peanut butter, nuts, seeds, olives, and vegetable oils, such as canola, olive, peanut, sunflower, and sesame. Many plant foods contain both PUFAs and MUFAs, as well as small amounts of saturated fat. Trans fats in the form of partially hydrogenated oils found in some processed and fast foods. Saturated fats found in fatty meats, high-fat dairy products, including butter, and tropical fats, such as palm kernel and coconut oils. A body of scientific evidence indicates that unsaturated fats improve your blood cholesterol levels and responsiveness to insulin. By replacing unhealthful fats (see sidebar) with PUFAs and MUFAs, you can cut your risk of cardiovascular disease and type 2 diabetes. Choose whole foods rich in healthy fats: avocados, olives, nuts, seeds, and fatty fish. But which fats should you choose when you’re cooking, spreading your toast, tossing your salad, or baking? What Are Healthy Fats for Cooking Purposes? While you can have small amounts of saturated fat for cooking, you’re better off choosing fats that are high in PUFAs and MUFAs, such as vegetable oils. Look for salad dressings and margarine spreads for breads and baking that are low in saturated fat and rich in PUFAs and MUFAs. 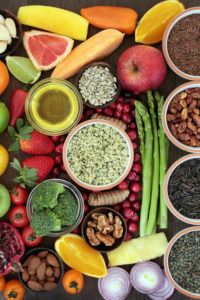 In addition, you can use whole plant foods that contain unsaturated fats, such as mashed avocado and nut and seed butters, more often as a fat source in spreads, salad dressings, and even in baked goods. It’s important to keep in mind that fat is a concentrated source of energy, containing 9 calories of fat per gram, compared to 4 calories per gram for protein and carbohydrates. Just one tablespoon of oil contains 120 calories. If you cover the bottom of your sauté pan with oil, thickly spread breads with margarine, and drench leafy greens with salad dressing, you’ll likely consume far more calories than your body needs, and you may battle weight gain as a result. In short, you don’t need a lot of fat; just a serving (1 teaspoon of oil or margarine) or two at each meal will get you the healthy fats you need without an abundance of excess calories. Choosing the right types of fat can reduce risk of cardiovascular disease (CVD) and other chronic diseases, according to research. Findings have confirmed that it’s the type of fat, not total fat intake, that’s most important in determining CVD risk. Several studies, as noted in Current Cardiology Reports in November 2016, showed that partial replacement of saturated fat with unsaturated fat, especially mono- and polyunsaturated fats such as those found in plant-based oils and fatty fish, reduces the risk of heart disease, and that increasing consumption of polyunsaturated fats may even be more beneficial for cardiovascular health than reducing saturated fat. 2 diabetes, blood cholesterol, blood cholesterol levels, brain, calories, cardiology, cardiovascular, cardiovascular disease, cardiovascular health, cholesterol, cholesterol levels, cooking, corn, cvd, dairy, depression, diabetes, dietary guidelines, dietary guidelines for americans, health, health problems, healthy fats, heart disease, insulin, nutrients, nuts, omega 3, omega 3 fatty acids, protein, pufa, reduce risk of cardiovascular disease, risk of heart disease, soy, type 2 diabetes, weight gain. I thought you might be interested in this article on https://universityhealthnews.com: What Are Healthy Fats?